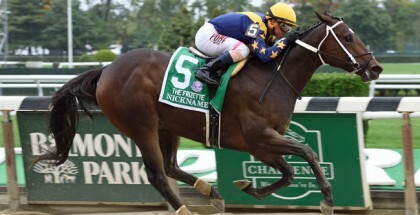 Winner of the Florida Derby, Take Charge Indy, is sure to place at the 2012 Kentucky Derby. The three-year-old 2012 Derby contender and Chicago hopeful has Calvin Borel and his jockey. Take Charge Indy was scratched from the 2012 Tampa Bay Derby this year to favor the Florida Derby at Gulfstream Park. The decision came to sit out the Tampa Bay Derby after assigned an outside post. Trainer Patrick Byrene and Take Charge Indy’s owners, Chuck and Maribeth Sandford, jointly made the decision. As a team they felt Take Charge Indy was too unfamiliar with the track at Tampa Bay Downs. Calvin Borel and Take Charge Indy claim first place at the 2012 Florida Derby. 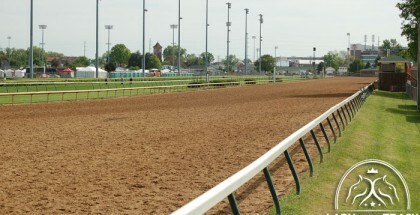 Trainer Patrick Byrene is planned to space out Take Charge Indy’s workouts until the 2012 Kentucky Derby. They are scheduled to fly to Kentucky on May 1. Byrene recently gushed about his admiration for Take Charge Indy saying, “I’m very excited and blessed to be a trainer for a Kentucky Derby contender. Since I only train about eleven or twelve horses, and not many more, it’s gratifying to have one like this”. And let’s not forget about super star and America’s sweetheart jockey Calvin Borel. 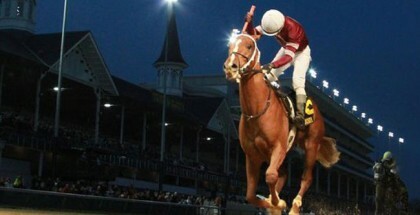 Calvin has won three Kentucky Derbys! The first win was in 2001 on Street Sense. The second in win was in 2009 on Mine That Bird, who was a long shot. 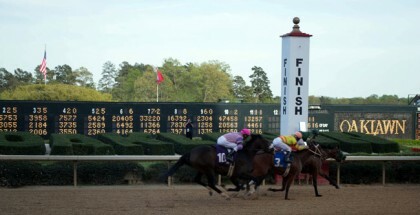 The third win came in 2010 on Super Saver. Let me just say, I won a lot of money in 2010 betting on old Calvin Borel and Super Saver! I was pregnant at the time and almost scared my boyfriend half to death from jumping up and down with so much joy! Lady At The Track would like to wish Patrick Byrene, Calvin Borel, Chuck & Maribeth Sandford, and the beautiful Take Charge Indy the best of luck at the 2012 Kentucky Derby.